Selecting and recruiting reliable people for jobs with low qualifications can be just as challenging as finding top-notch managers. 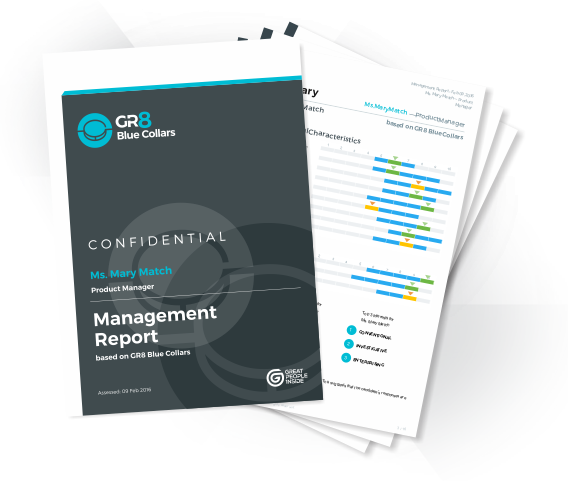 With GR8 Blue Collars, we’ve identified the dimensions that best predict workplace performance for such positions, including items like integrity, conscientiousness and responsibility, along with an interest for conventional work. All in all, this is a simple, quick assessment with a reduced cost, one that’s just perfect for large volume use.